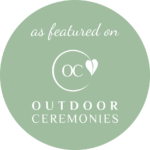 An outdoor wedding is a wonderful way to celebrate your special day in a relaxed, beautiful environment. But finding somewhere that offers true rural beauty can be a challenge. When the current Mr & Mrs Walpole (that’s us, Rob & Gemma) became engaged there was no question about venues – for both of us the best place we could think of celebrating our special day was Rookery Meadow. Nowhere else could offer the freedom to choose everything we wanted, or match the beauty and tranquillity of the natural surroundings that a meadow wedding offers. We loved having complete creative and financial control – choosing to spend our budget on the things we desperately wanted and saving on the things that didn’t matter quite so much. 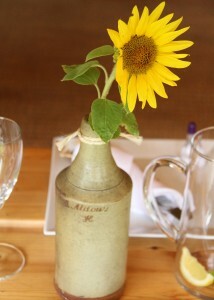 For example we made our own centre pieces for the tables using old ceramic beer bottles found on the farm, decorating them with sunflowers and Hessian rope, but as music fans we splashed out on a live band so that we could dance the night away. We also loved adding a personal and unique touch that reflected our relationship and met our needs. 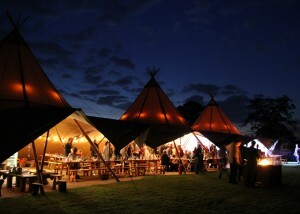 The grounds were transformed with three giant tipis. 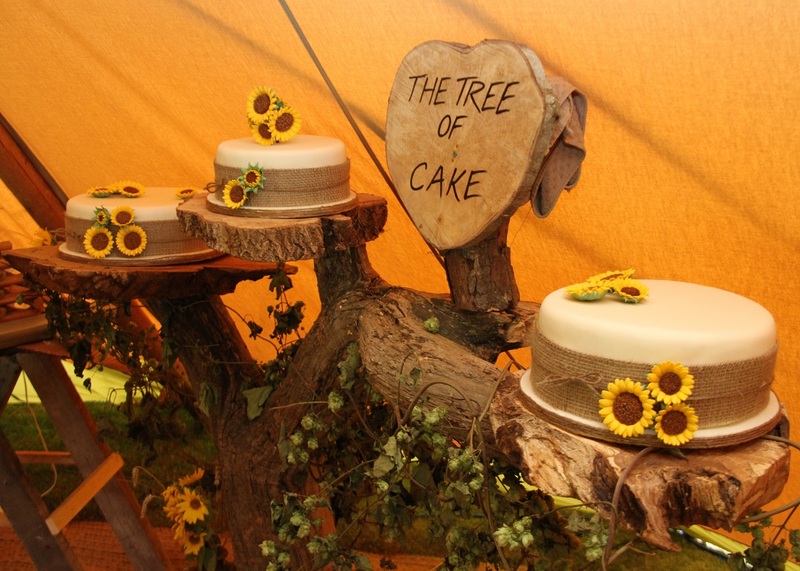 Much of the furniture including the Old Oak Bar and infamous Tree of Cake were handmade by us from wood sourced from the farm (both now available to hire for free from our Barn of Curiosities). The confetti was hand -sown and dried in the farmhouse from wild-flower and English roses grown in the garden. 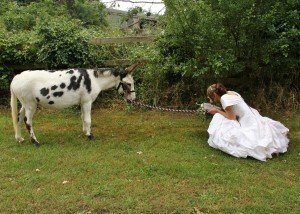 We were even greeted by a pair of donkeys as we arrived! All perfect touches for an outdoor wedding. The whole event really was everything we dreamt of, and more, and everyone said how personal and different it was. 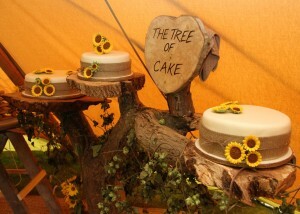 All the guests fell in love with Rookery Meadow that day. It was perfect (even though it rained!). We know that not everyone is as lucky as we are. Most people don’t have a fairy-tale meadow at the bottom of the garden. So we are giving you the opportunity to share ours. Planning and creating your own wedding can be a big task, so we are on hand to help with sourcing quotes, create a day plan and run the event on the day to ensure everything goes smoothly. 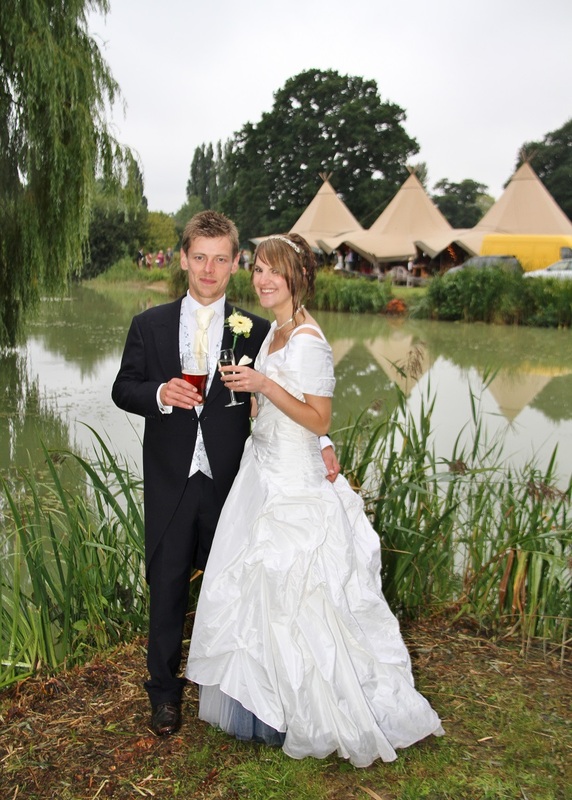 As we only host six weddings a year, you receive as much of our time, attention and support as you need to make your meadow wedding as perfect as possible. 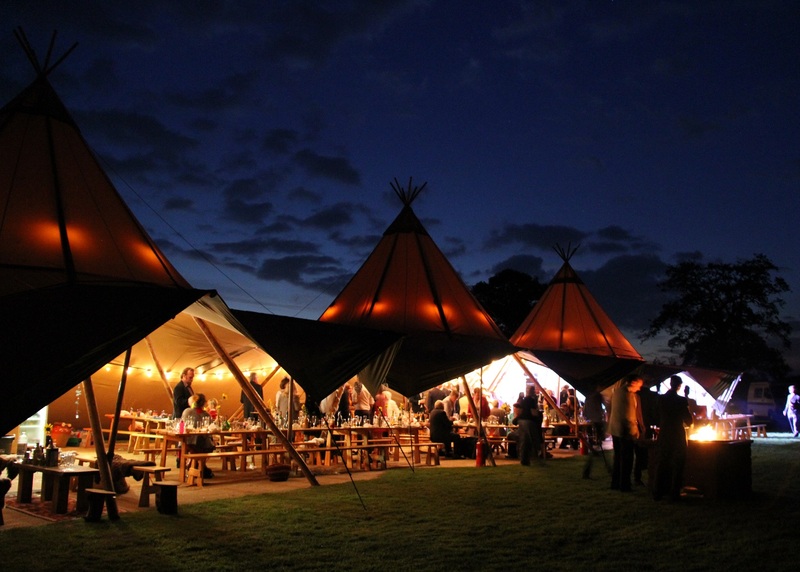 With all this, Rookery Meadow makes for a truly unique, personal outdoor wedding venue in Norfolk and Suffolk. We want you to fall in love with Rookery Meadow and make it yours.